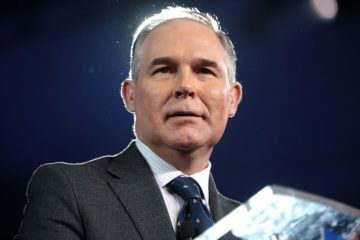 CREW secured an important victory in March when the EPA publicly released a list of gifts given to Scott Pruitt when he was EPA Administrator in response to a lawsuit CREW filed under the Ethics in Government Act (EIGA). 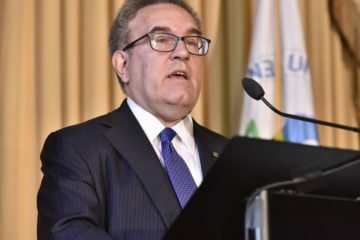 The successful suit represents a first-of-its-kind effort to force a federal agency to comply with its legal obligations under EIGA–a statute that Trump Administration officials have repeatedly disregarded. The gift list is illuminating, and illustrates how oil and gas companies sought to curry favor with Pruitt, a well-established ally of the fossil fuel industry. Among the gifts were an “Industry Leader of the Year” award from the National Stripper Well Association (which represents operators of oil and gas wells), various climate-denial books, a novelty license plate from the Texas Oil and Gas Association, and expensive whisky and wine from Chinese government officials. EIGA requires government employees to file financial disclosure reports disclosing gifts they receive while in office, and further requires that those reports be made public. Pruitt filed his report after he resigned from EPA in July 2018, amid a flurry of ethics scandals. But much like his rocky tenure at EPA, Pruitt’s report had problems. Although the report stated Pruitt received numerous items when he served as EPA Administrator, it did not actually identify those items. It instead simply incorporated by reference EPA’s list of those gifts. But because that list was not public, there was no way to tell what gifts Pruitt received. So CREW asked EPA to release the list, explaining that since it was incorporated in Pruitt’s report, it was part and parcel of that report and must be made public. EPA refused, claiming the gift list wasn’t part of Pruitt’s financial disclosure report. Because that refusal violated EIGA, CREW sued EPA. When the time came for EPA to begin defending the case, the agency folded–releasing the list to CREW on March 18. 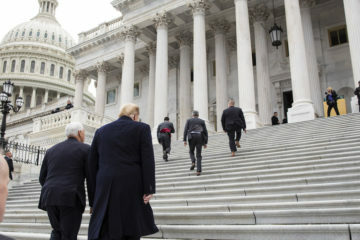 The case serves as yet another reminder that when federal agencies fail to comply with ethics rules, CREW will pursue all available legal remedies–including litigation–to compel compliance. Read the gift list here.